Arachno SoundFont has been featured on several articles and other websites, mainly focusing on sound banks (SoundFont or not), audio or MIDI processing (composing, arrangement, production...) and other subjects related to music. As a tribute to all the authors of these articles, to thank them for their support in promoting Arachno SoundFont, you'll find below some links to the articles or tutorials they wrote. If you're also the author of an article focusing on Arachno SoundFont, I invite you to contact me to be featured on this page. 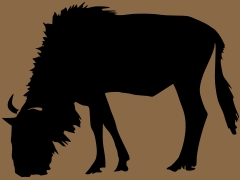 On his French blog, Jean-Paul was kind enough to publish a very complete tutorial to decompress sfArk files under GNU/Linux. With his permission, I translated and integrated this tutorial into the "Decompression" section of Arachno SoundFont's documentation. Many thanks to him for his help and support! Several articles have been written on this website by Guillaume aka. greatxerox to promote Arachno SoundFont through video game music demos. Guillaume has also created, on this website, a new section dedicated to MIDI Music and Sounds featuring Arachno SoundFont. Many thanks to him for his support! 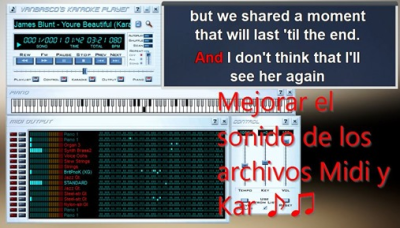 On this Spanish website, Victor Alberto Gil published an exhaustive article focusing on using vanBasco's Karaoke Player along with CoolSoft VirtualMIDISynth and Arachno SoundFont to reproduce MIDI music and files on a Windows computer. On this article, you'll find an audio demo of James Blunt's "You're Beautiful" in MIDI version. A very nice resource for Spanish-speaking people. ¡Gracias! 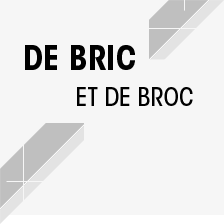 A French website focusing on miscellaneous subjects, such as IT, music, sports, biking... its author simply wanted to share his passions through the internet. Among them, he wrote some articles related to MIDI music on computers, featuring some audio demos and comparisons between several SoundFonts, including Arachno SoundFont. Angelo Castro has made a video tutorial showing how to use QSynth to reproduce MIDI music with SoundFonts from any application, using a virtual MIDI device routing driver (MIDI Yoke) and vanBasco's Karaoke Player to play a MIDI file with Arachno SoundFont. As QSynth is multi-platform software, Angelo's technique (using a virtual MIDI routing driver) should be applicable on other operating systems such as Mac OS X or GNU/Linux to reproduce MIDI data from any application. Angelo has also released another video demonstrating how to use Arachno SoundFont and vanBasco's Karaoke Player with CoolSoft VirtualMIDISynth. You can check it out on YouTube. If you prefer a written tutorial, Angelo also published an article on Pinoy Musicians Network. Many thanks to him! Bruno has added Arachno SoundFont in the "SoundFonts" category of his directory, and was among the first third-parties to do so. Thanks to him! On this Japanese webpage, you'll find several links to MIDI software and SoundFonts, to reproduce MIDI music and files on a Windows computer. According to his own feedback, the author really enjoyed Arachno SoundFont. Stan Humphries has released an article on his KBD-Infinity software blog, a synthesizer settings editor. 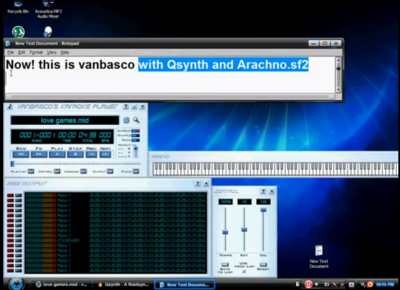 He describes how to proceed to use CoolSoft VirtualMIDISynth and Arachno SoundFont as a replacement for Microsoft Windows' integrated MIDI synthesizer. On the German PCGamesHardware (PCGH) website, Philipp Reuther published a great tutorial showing how to use DOSBox and BASSMIDI Driver to play your old DOS games with great music, using Arachno SoundFont. His tutorial comes with some very nice videos to demonstrate the whole setup. Thanks to Philipp! On this French forum topic, you'll find an additional tutorial on how to use CoolSoft VirtualMIDISynth with Arachno SoundFont, as well as an alternate download link if you can't download the file from this website. Thanks to the LaraShare administrators for hosting, and thanks to Satistat for writing the topic!